Who doesn’t love chocolate? My kids certainly do, so when I asked them what muffin recipe I should create next, they said “Chocolate!”, of course. 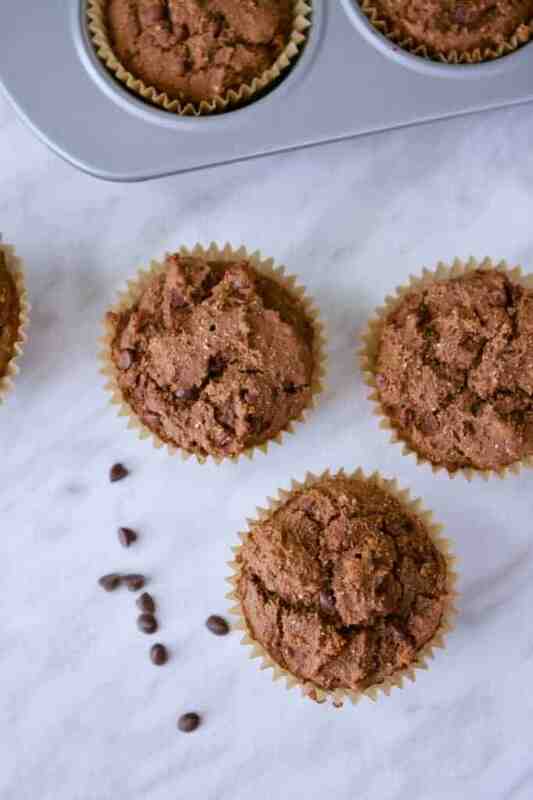 So here is another gluten-free muffin recipe: Chocolate Chocolate Chip Muffins. No gluten, no egg, no dairy. 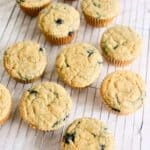 I am loving cassava flour and it’s crumb in baked goods. I discovered cassava flour (and learned to make my own!) through the Gluten Free Baking Academy. If you want to learn more about gluten-free baking, you seriously should check out this course. I can’t recommend it enough! Since gluten-free baking typically calls for a mix of gluten-free flours, I also used chickpea or garbanzo flour in this recipe. 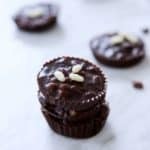 Raw cacao powder makes these chocolate muffins. Raw cacao is rich in antioxidants and is minimally processed, not like cocoa powder. 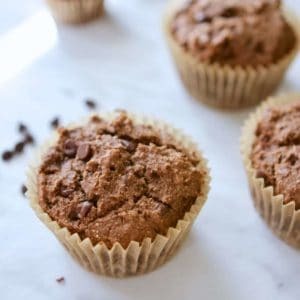 Chocolate chips make these double chocolate muffins. I used the Enjoy Life brand mini chocolate chips which are dairy-free and vegan. The ripe banana will act as our egg replacer. The natural sweetener is raw honey or maple syrup for a vegan option. Now, let’s make the muffins! Pre-heat the oven to 350ºF. Line your muffin pan with unbleached cupcake liners. 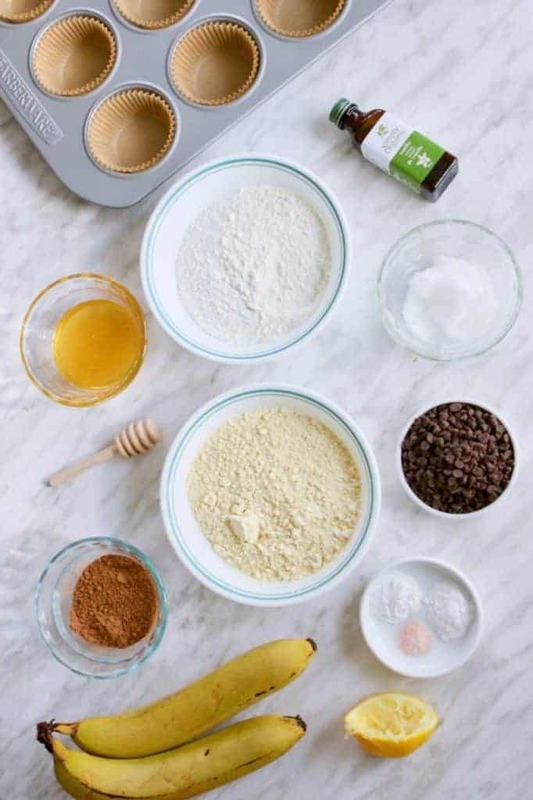 In a large mixing bowl, add the dry ingredients: cassava flour, chickpea flour, raw cacao powder, baking soda, baking powder and sea salt. In another bowl, mash the ripe banana. Then add the wet ingredients, add the coconut oil (liquid or solid is fine), raw honey or maple syrup, vanilla extract, lemon juice or apple cider vinegar, and water. Mix everything well. Slowly stir the wet ingredients into the dry ingredients. I used a stand mixer. 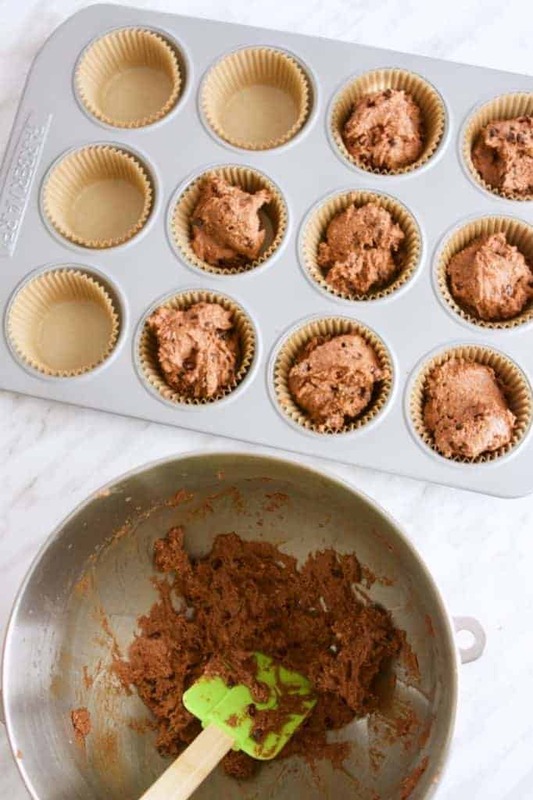 Scoop the muffin mixture into the lined muffin pan. This will make 12 muffins or 32 mini-muffins. Place pan into the oven and bake for 22-25 minutes. Or 15 minutes for mini-muffins. Remove from oven when time is up. Let cool and enjoy! What’s your favourite muffin flavour? 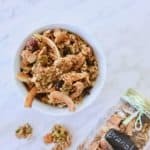 Please comment below and I will try to create a gluten-free version of it! 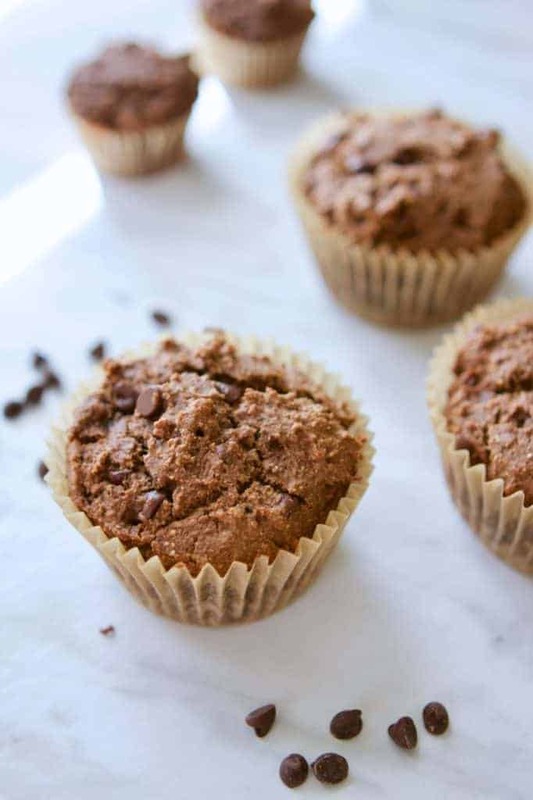 Try this gluten-free chocolate chip muffins. Double the chocolate, double the fun! Pre-heat oven to 350ºF/180ºC. 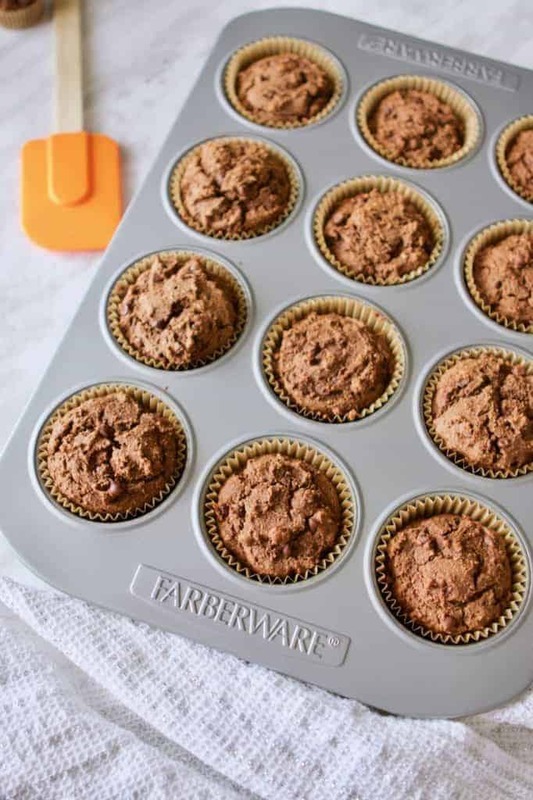 Line muffin pan with unbleached cupcake liners. 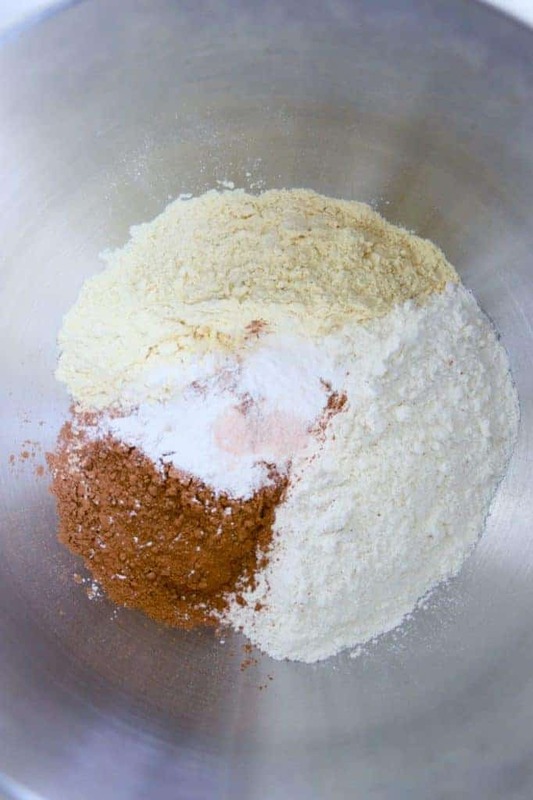 In a large mixing bowl, add the dry ingredients: flours, raw cacao powder, baking soda, baking powder and sea salt. Mix thoroughly. In another bowl, mash the peeled banana. Add the wet ingredients: coconut oil, raw honey or maple syrup, vanilla extract, lemon juice or apple cider vinegar, and water. Mix well. Slowly stir the wet ingredients into the dry ingredients until thoroughly mixed. Place pan into the pre-heated oven. Bake for 22-25 minutes. For mini-muffins, bake for 15 minutes. When time is up, remove pan from oven and let cool. 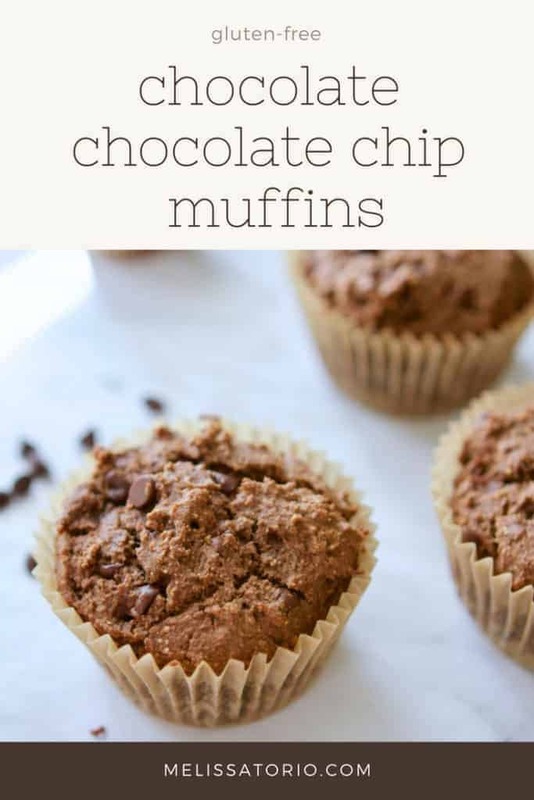 To make this dairy-free, use dairy-free chocolate chips.